If your HTC smartphone seems laggy, you are recommended to install HTC Boost+ APK 1.50.792952. HTC Corporation develops this application for its products. The lag on your device might be caused for several reasons. Installing to much application for your smartphone might potentially cause your RAM overwhelmed. If your phone turns laggy, you can uninstall unnecessary apps to reduce the consumption of the RAM. Alternatively, you can also install this optimization application. You can find it in Google Play Store. Since it helps you to optimize your smartphone, it is located under the Tools Category. Unfortunately, it is designed exclusively for HTC devices. Therefore, if you use the other devices, this application is not compatible. 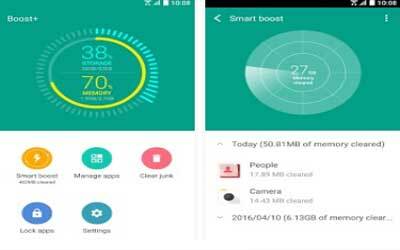 The developer of this optimization application says that it works by optimizing, fortifying, and defragmenting your smartphone.